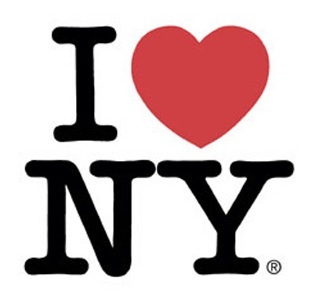 I H<3 NY. Milton Glaser is one of the most famous graphic designers to transcend the 20th century. Born in New York City in 1929, his I Love New York design trends worldwide. Glaser defied austere modernism, incorporating refreshing illustrations and humorous elements to posters, book covers, and album covers. Glaser started his own company Milton Glaser, Inc. in 1974 and still serves as a Board Member for the School of Visual Arts. Paul Rand becomes one of our famous graphic designers because of his early love for design. Rand made his start as a boy who loved to paint. He would paint many of the signs at the grocery store his family owned. As he grew, he built quite the portfolio. Due to his experience designing stock images, Rand’s design work advanced to include the logos of some of the largest corporations to date: IBM, ABC, Enron, and UPS to top the list. Saul Bass, is a famous graphic designer brought up in the Bronx, New York. Paul was known for his ability to connect with an audience, instilling an emotional connection with his title sequences. 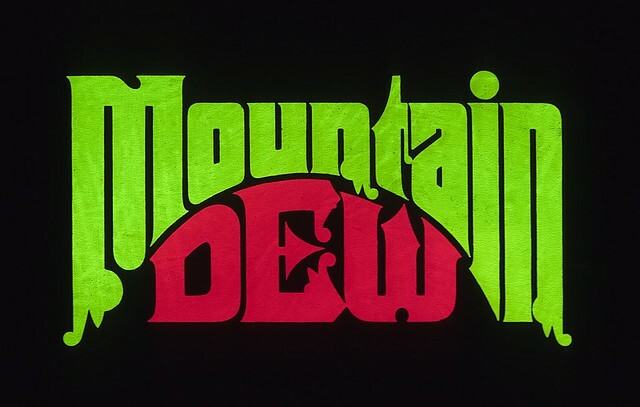 His monumental ideologies, such as the use of kinetic typography, as well as his ability to present viewers with an alternative to the expected, distinguished Saul Bass from the ordinary. Saul worked on several different monumental film’s title sequences. The Shining, The Man With The Golden Arm, and Walk on the Wild Side, to name just a few. Some of Saul’s other design work include logos for the Girl Scouts, Kleenex, and Continental Airlines. Herbert Lubalin, or Herb, as he preferred, is most prominently known for his design of the typeface, ITC Avante Garde. 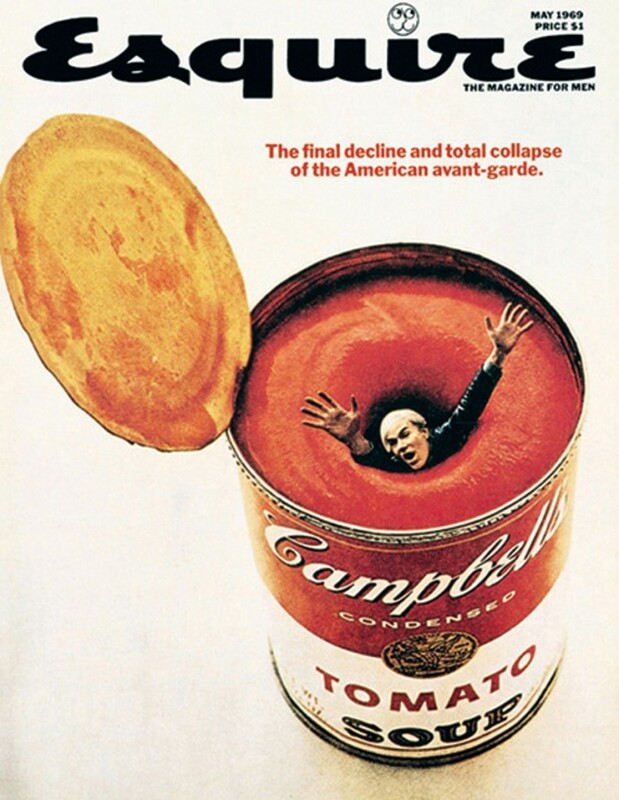 Herb’s design led Avante Garde magazine to become one of the most successful magazines of its time. With oversized print, and dominant typographic titles still seen in well-known magazines today, Herb becomes famous graphic designer #4 on our list. Born and raised in the Bronx, New York, George Lois was one of the most famous graphic designers to work with Esquire Magazine. 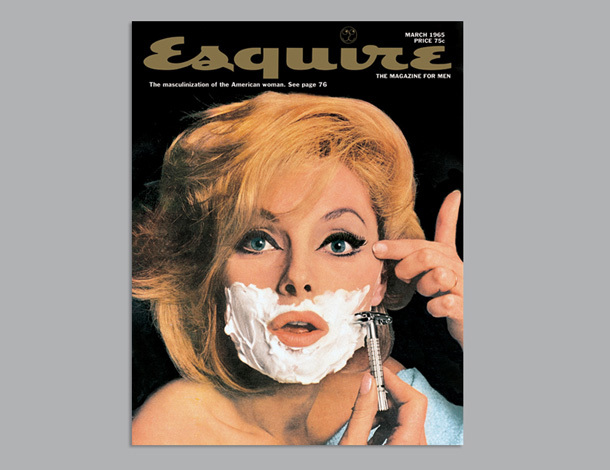 Lois is best known for his design of over 90 Esquire Covers during the 60’s and early 70’s. George claims ownership of the development of the “Big Idea” marketing philosophy. His “Big Idea” was to create brand awareness among consumers by pushing the limits of the marketing status quo. Following these guidelines, he was able to nearly double Braniff International Airways with his “If you got it, flaunt it” marketing campaign. George was behind several other iconic marketing campaigns such as, “I want my MTV”, and Jiffy Lube, and the graphic design and development of Stouffer’s Lean Cuisine’s brand identity. Alexney Brodovitch is the Russian among our famous graphic designers. Alexney came from humble beginnings. As a young adult during the Russian Civil War, Alexney ran away several times to fight the Germans. He began his career as a house painter. Alexney envisioned bigger things from his life. He began designing and selling sketches for jewelry, china, and other textiles on the weekends. His designs brought attention, leading to work with Cahiers d’Art and Arts et Métiers Graphiques magazines. Alexney became a famous graphic designer for his work with Harper’s Bazaar. The free-range under which he was allowed to create enabled him to transform magazine design. Alexney’s ability to relate and balance typography within on-page visuals set a precedent in a time of creative repression. 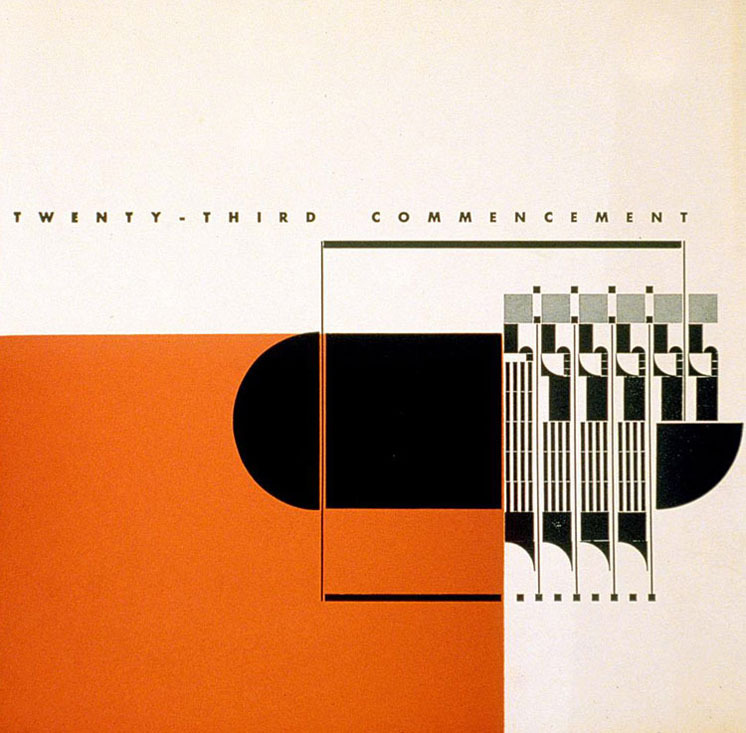 Bradbury Thompson, 7th on our list of famous graphic designers, was best known for his ability to combine classic typefaces with modern graphic design practices. Hailing from Topeka, Kansas, Bradbury began making himself known with his work for the magazines Mademoisselle and Westvaco Inspirations. It was here he became known for his abilities, utilizing classic fonts as visual design elements, such as the use of a J to fill in for a fishing hook. His ability to capture the preserve the past within his modern designs led to him designing over 90 iconic postage stamps. In addition to being a famous graphic designer, Bradbury was also a teacher at Yale University. Bradbury believed the graphic designer was to combine elements of the past and the present. To Bradbury, the role of a graphic designer was to incorporate historical design, while also creating their own style, rather than mimicking that of the past. Alvin Lustig, creator of the Lustig Chair, would have been one of architecture’s most famous graphic designers if he had not passed away before his time. Alvin was born in Denver, Colorado. Alvin began his career designing book covers, and is most widely known for the over 70 dust jackets he designed during his time with New Directions Publishing. He was widely recognized for his ability to understand and incorporate the dynamic revolution of the typography industry. In addition to being a famous graphic designer, his association with Frank Lloyd Wright led to his work within the spectrum of architectural design. His most notable contribution being the Lustig Chair. Unfortunately, Alvin passed away after complications with diabetes at the early age of 40. Herbert Matter was one of Switzerland’s most famous graphic designers. Herbert had a vision. He wanted to bring the creativity of fine art to everyday objects. In doing so, Herbert’s work included the drawing over of pictures using negatives, cropping, and the oversizing of his works. 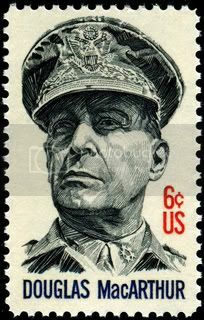 He is also known for his work for the United States Government during World War II. Upon the government’s request, Herbert developed a variety of propaganda posters for the purpose of convincing civilians to join the military. Massimo was one of Italy’s famous graphic designers who transformed package, furniture, and interior design as we know it. 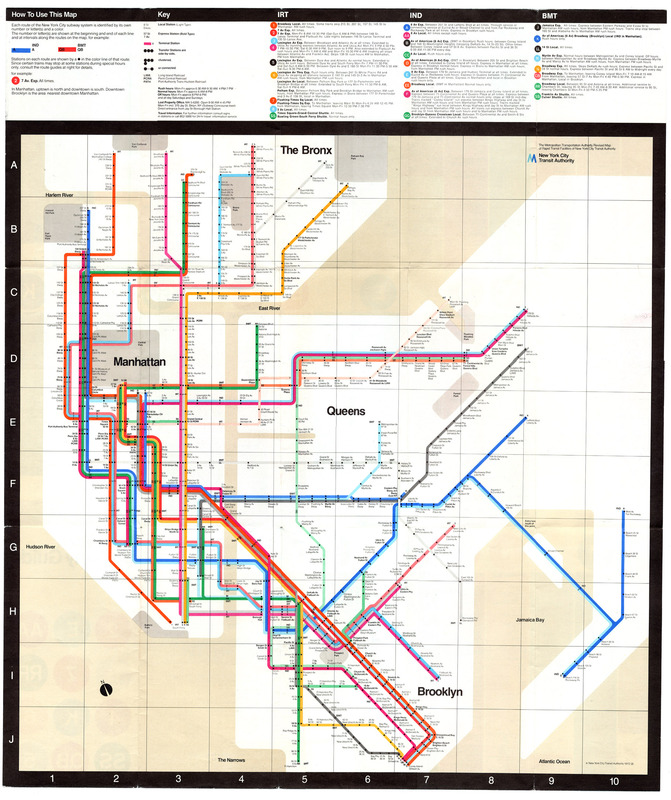 Massimo Vignelli stringently applied modern design principles to his work. With the use of geometric shapes, Vignelli was able to evoke simplicity within his designs. He was a firm believer in keeping all typography at a minimum. His visual and simplistic styles can be found in his work for the New York Subway Systems, his clothing line, Design Vignelli, and the rest of his countless productions. Of course this is just the tip of the iceberg. If you feel like our graphic designers left your favorite off the list, let us know! We’d be happy to include them! Next Next post: Is It Time For Rebranding? Modern Design is Rapid City’s leading marketing agency specializing in web design, web development, and search engine optimization.